Dare to explore Kauai's Napali Coast on a Zodiac boat and snorkeling tour. 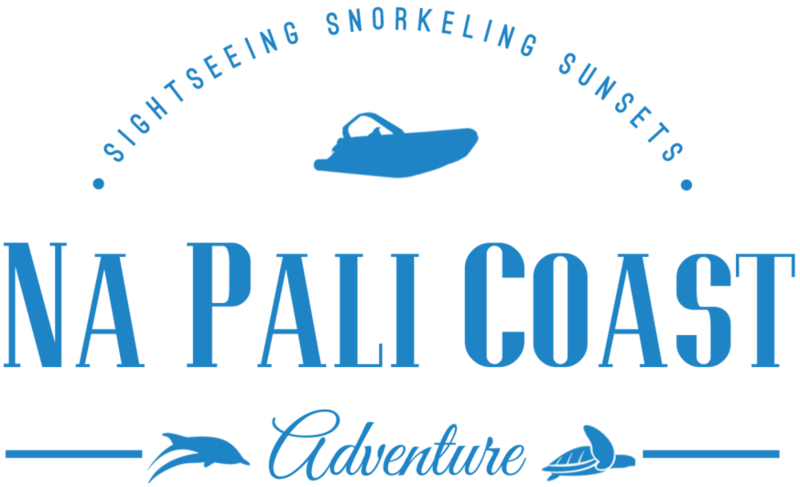 Our 7:30 am Na Pali Coast raft tour has a 7:00 am check-in at the Kikiaola Boat Harbor. As we begin our journey toward the beautiful Na Pali Coast, you will have the opportunity to experience Hawaii’s amazing marine wildlife including dolphins, sea turtles, and in the right season – Humpback Whales! 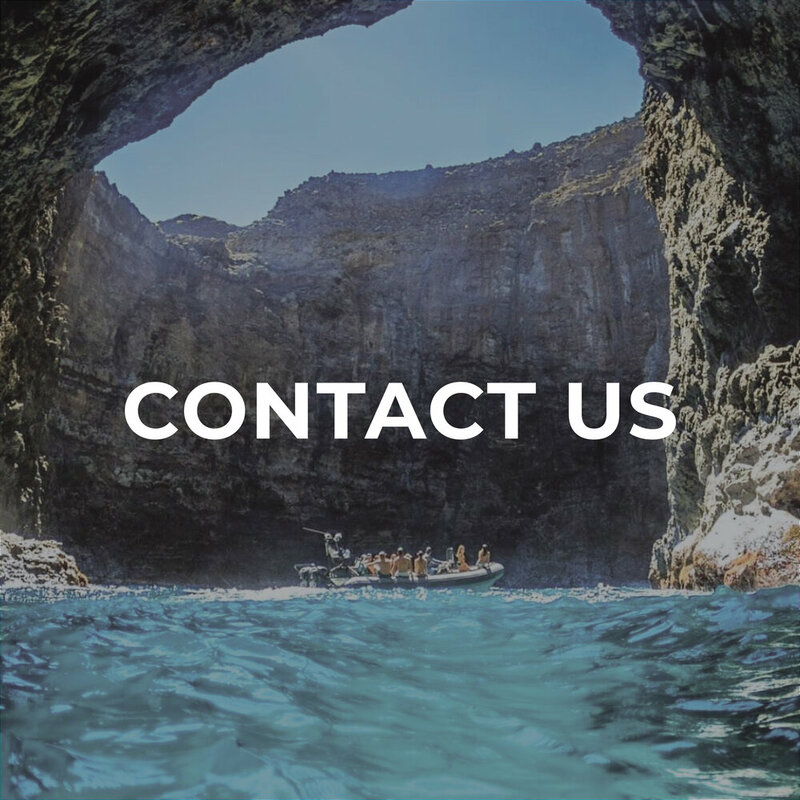 Once we reach the coastline, our captains will amaze you as they take you under waterfalls and through sea caves at the base of Kauai’s 3,500 ft tall sea cliffs. 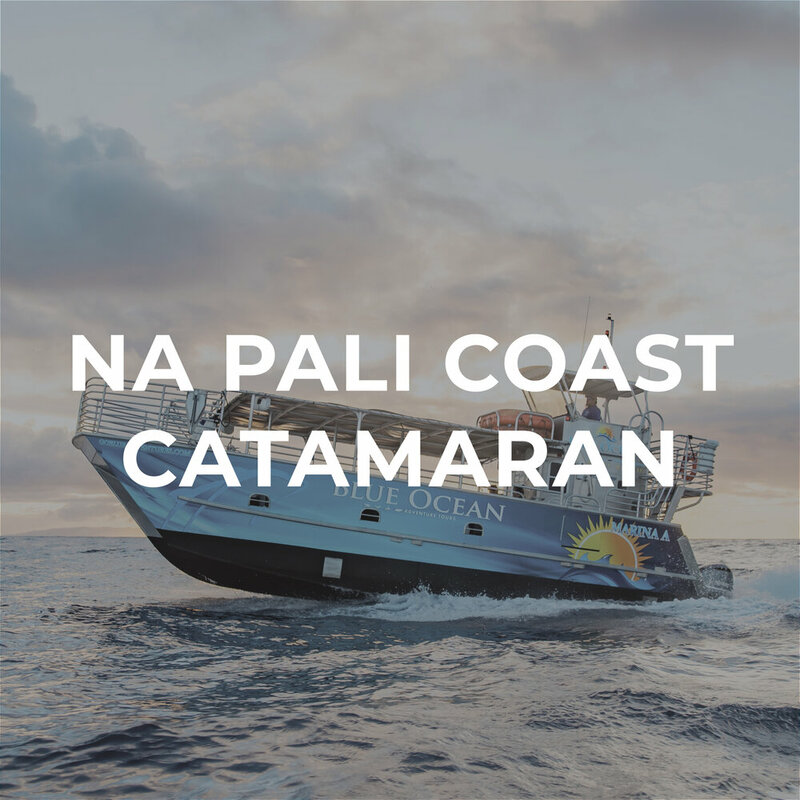 You will hear about the amazing history of the Na Pali Coast, stopping at the best possible photo spots to capture this once in a lifetime experience. 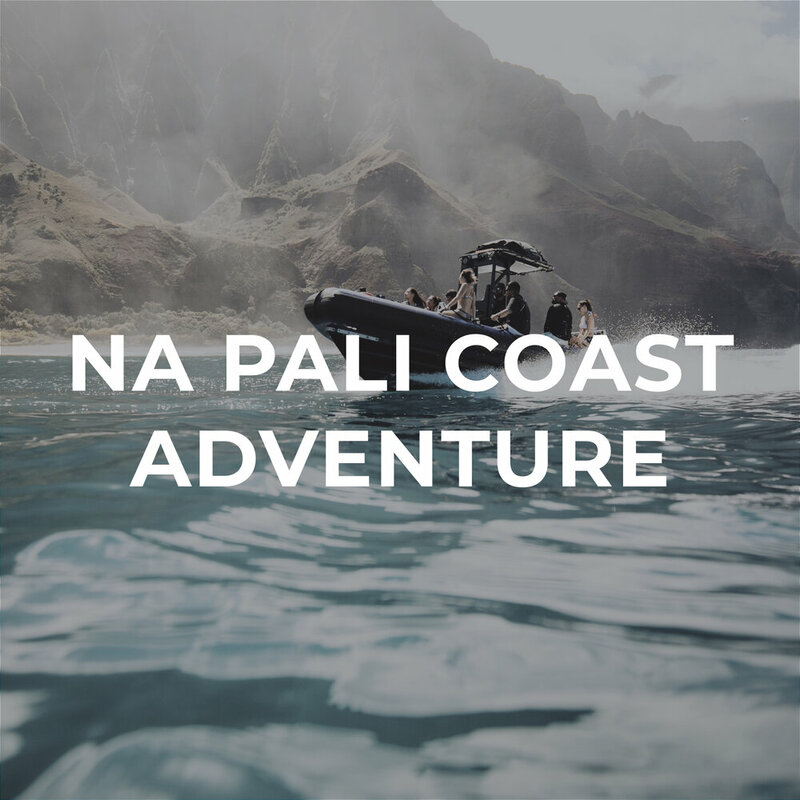 Once we have journeyed to the end of the 17 mile Na Pali Coast, our adventure will continue to beautiful Nualolo Kai, an ancient Hawaiian fishing village. You will experience a wonderful blue ocean snorkel complete with Hawaiian Green Sea Turtles (Honu) and a vast array of beautiful reef fish. By 12:00 PM you will be back at the harbor. We provide drinks and light snacks along with quality snorkeling gear. 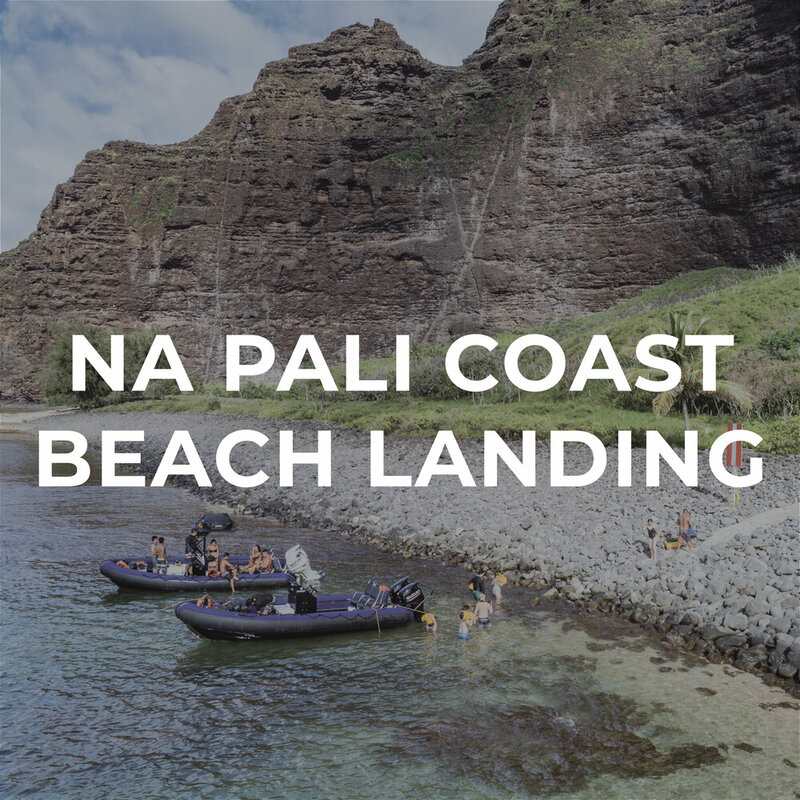 Our Na Pali Coast tour has a 2:00 PM check-in at the Kikiaola boat harbor with a 2:30 PM departure. By 7:00 PM time you will be back at the harbor. We provide drinks and lights snacks along with quality snorkeling gear.